We’re very excited to announce that A Twist of Fortune, the 4th installment in the Sgt. Windflower Mystery Series is now live and available for order from Chapters/indigo in Canada. Below are a few pics from the Book Launch in Ottawa on April 8. There is no better feeling than the one a writer feels when they have delivered a final document to their publisher. 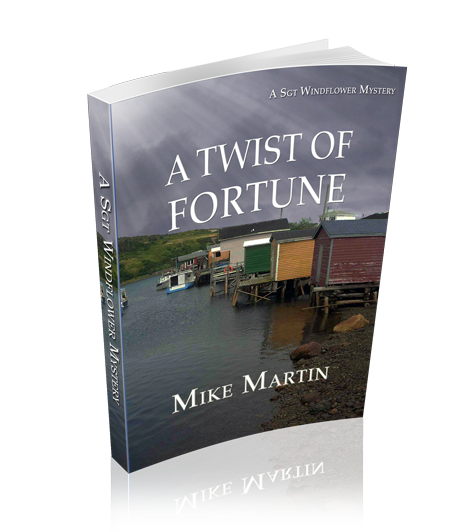 So I am feeling blessed and relieved to have sent A Twist of Fortune, the latest book in the Sgt. Windflower Mystery Series, to my publisher of choice, Baico Publishing and sit back and relax, right?